With our HelpDesk, you'll always have access to IOI's Global Support Network. By using our secure technical support portal, you can rest easy knowing your mission critical systems have the industry's leading support team working with you. With IOI's HelpDesk and support@iointegration.com our team is always just a click away. 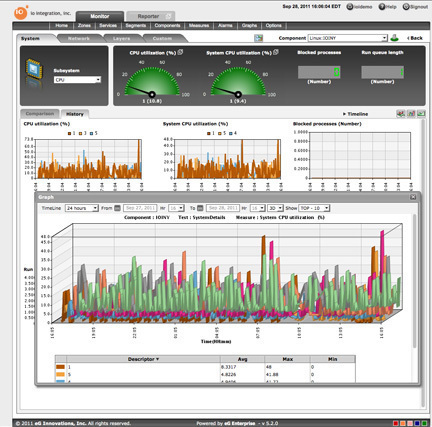 For even more coverage, we offer proactive Remote System Monitoring and Analytics with IO Monitor. This solution remotely monitors and supports your mission-critical servers and applications, helping us find and fix issues before you are even aware they exist. IOI Silver Support is our entry level support package that offers our basic coverage to address all of your support needs during standard business hours. IOI Platinum support is our most comprehensive standard support contract which expands support to 24 hours. For customers with unique support requirements and/or complex configurations, IOI offers custom contracts designed to handle your special needs. Contact us to discuss your custom support requirements. Beyond our standard support contracts, IOI's Managed Services ensures your business-critical systems are always at optimal performance. IOI has the tools, expertise, and global delivery framework to help you achieve optimal system performance and business results. We offer a complete range of managed solutions for administering, monitoring, managing, and upgrading your systems. We can also help you establish service level agreements (SLAs), key performance indicators (KPIs), and user acceptance testing (UAT) frameworks. IOI can administer tasks including user management, log review, system backups, performance assessments, and managing log books. We can also work with your key stakeholders to ensure that everything runs smoothly in terms of system operations, capabilities, and enhancements. IOI Service professionals can administer advanced systems monitoring, generate customized system reports, and review with your team. Through this service, you’ll get alerts for any performance irregularities and generate support tickets to resolve issues quickly. Through this service, IOI will schedule and manage upgrades and operating system patches, and verify system functionality following these operations. IOI can help establish your Service Level Agreement (SLA) by analyzing business requirements and defining response times, action plans, and critical service levels. We will also help determine Key Performance Indicators (KPIs) for archive and backup success, inventory accuracy, software license compliance, monitoring and alerting, and more. Lastly we will work with your User Acceptance Testing (UAT) team to analyze business requirements, develop a plan, execute tests, provide feedback, validate and resolve reported issues, and confirm business objectives. Contact us to talk about your support needs. We're here to help. Have questions about your IOI Support Contract or need a customized plan?